Another innovation the “DKult Industrial Complex” has given the Eternal Network is DKult Doodle Therapy (DKDT): Collaborative comics that often achieve the status of Trashpo TLP graphic fictions. While numerous Kulters/Trashpoets have participated in DKult Doodle Therapy projects, Rebecca Guyver is unquestionably the creative force and artistic leader behind this popular phenom. 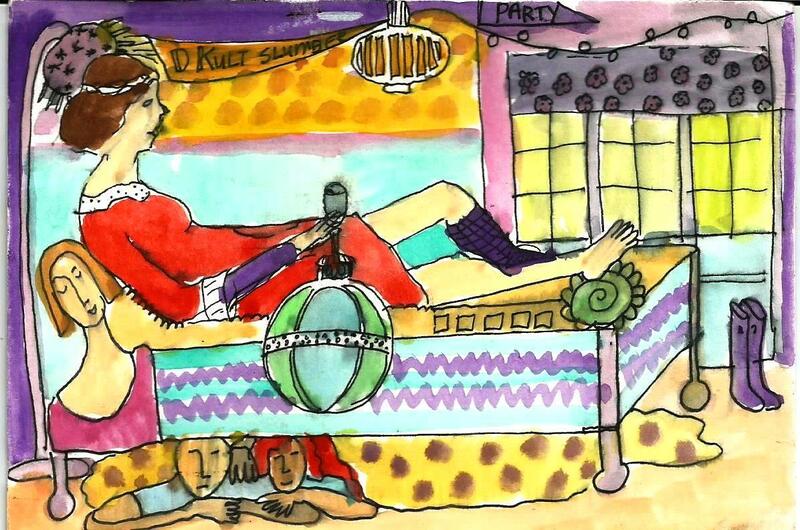 So I am thrilled to be able to add Rebecca Guyver’s “DKult Slumber Party” to the Karnival of Trash exhibition. 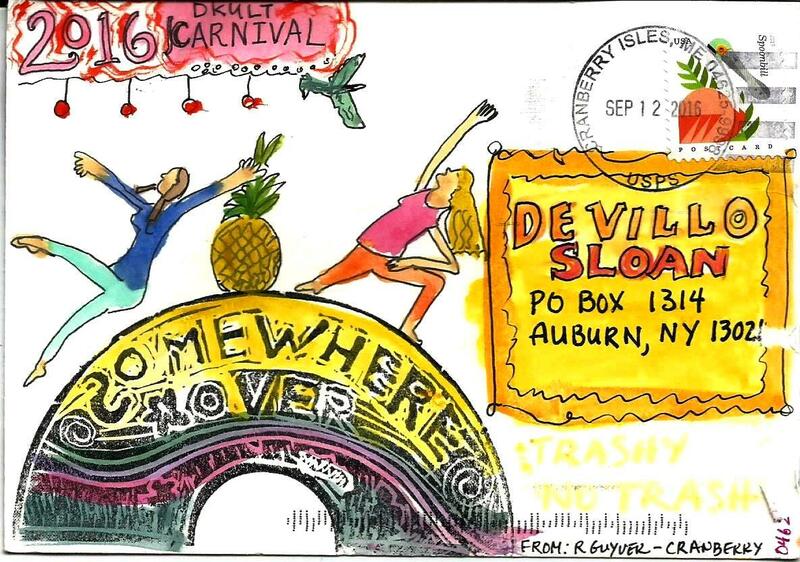 This single postcard captures the spirit of DKDT, and we can look forward to more work by Rebecca in the Greatest Show on Earth. Many thanks to Rebecca Guyver and all the folks at DKULTUK where the sun never sets!